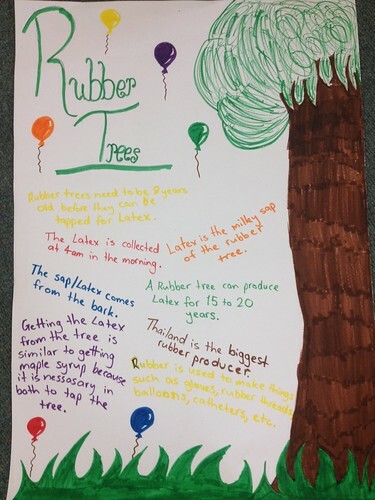 In our inquiry we chose to research rubber trees. My contribution to this project was that I did lots of the research. I thought of the questions and googled them to find out more information. I also created most of the presentation. The thing I am most proud about is the presentation because it is really colourful and bright. The thing I would do differently next time is that I would have drawn a picture in the background. We didn't make impact with our project because we didn't put our poster somewhere people can see it.